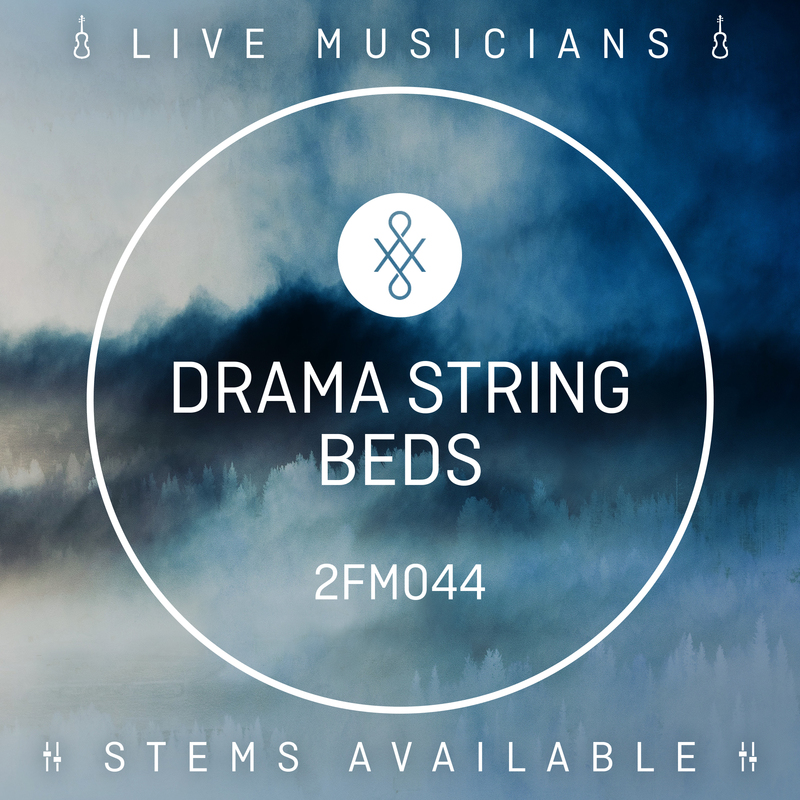 The latest in 2FM’s hybrid orchestra series, 2FM044 Drama String Beds is an underscore album of string orchestra and sparse piano with subtle synth textures and delicate percussion. Tracks include anxious atmospheres (“March Towards Destiny”), tense moods (“On Edge”), melancholy reflections (“Uncertain Direction”) and emotional textures (“Surge of Emotion”). This album is perfect for accompanying on-screen dialogue and voiceovers, and when subtle underscore atmospheres are required. 2FM044 Drama String Beds features tracks written by Daryl Griffith, Bradley Farmer & Christopher Elmslie. This album is suitable for drama and drama-inspired documentaries as well as crime, investigations and tense reality TV. All tracks are built around a recurring loop or theme so the music is easy to cut and tailor to picture, and ready-made 60-second, 30-second and sting cutdowns are also available for each track. All instruments were recorded to stems for further ease of editing, and Alt, Sparse and Underscore versions come ready to use.